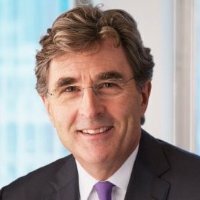 Peter Drummond-Hay has 35 years of leadership consulting experience. He recently retired from Russell Reynolds Associates in New York, where he conducted senior management and board of director searches and assisted clients in succession management and in the assessment of their boards and leadership teams. He previously led the firm’s business in Asia Pacific and earlier, at different times, was responsible for New York, Europe, Canada and Latin America. Mr. Drummond-Hay was the 2017 recipient of the Lifetime Achievement Award conferred by The Association of Executive Search and Leadership Consultants. He spent the early part of his career in merchant banking in London and New York and has a BA and an MA from Cambridge University. He is a former trustee of the University of St. Andrews American Foundation and a former board member of British American Business Inc., Restless Development USA, Inc., and the New Canaan Country School.